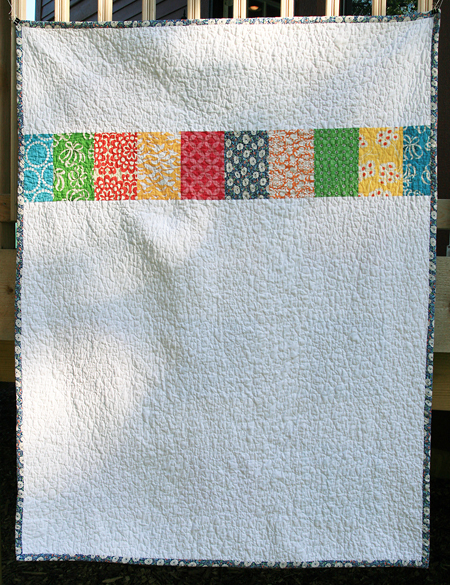 I've finished my Block of the Day Quilt - now known as my Rainbow Block Quilt! I am really excited with how this one turned out. It's so bright and fun! 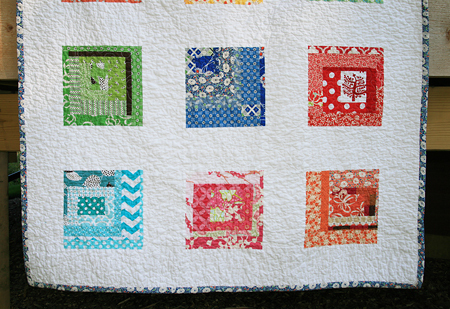 The blocks are each unique and it's such a beautiful sampling of so many designer's fabrics. 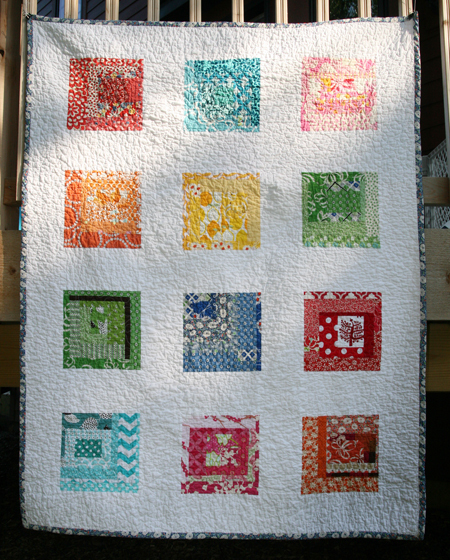 I used white sashing (Bella Solids) and I think it really makes the blocks pop. I used coordinating fabrics for a fun stripe on the back. 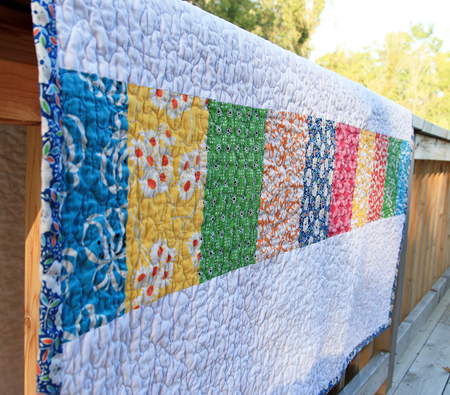 I quilted this free motion style and used a Denyse Schmidt floral from Katie Jump Rope. The final size measures 48" x 62". I could really see this quilt on a toddler bed, but that's probably because I have two young kids myself and see everything through a mom's eyes. It'd be perfect to cuddle under on the couch as well! 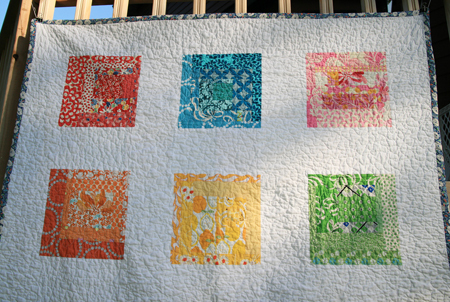 I've decided to start selling some of my quilts in an Etsy shop! I figured it would justify all the time I've been spending on this hobby. And answer my husband's question of "what are you going to do with another quilt?" ETA: Thanks for helping my photo make Flickr Explore for September 17th, 2009!